Candied Orange covered in pure Dark Chocolate (Cocoa Solids 73%). 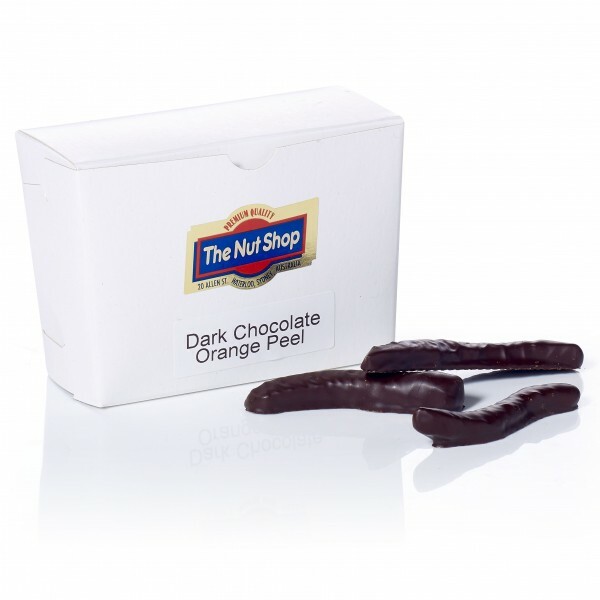 One of The Nut Shop's most popular chocolates. Made in Australia.